Todd Poling is the Founder and President of Vantage Point Advisors, Inc. Mr. Poling is actively involved in valuation engagements of all types and also leads the firm’s strategic planning and business development efforts. Prior to founding Vantage Point, Mr. Poling was Managing Director of CBIZ Valuation Group, Inc., spending several years with the firm in the Dallas, San Diego, and Los Angeles offices. While at CBIZ, Mr. Poling managed large and complex valuation consulting engagements focusing heavily in the transaction arena. He participated in numerous engagements involving corporate re-structuring, initial public offerings, mergers and acquisitions, ESOPs and fairness opinions. In addition, he provided valuation consulting in litigation support situations and served as an expert witness in both deposition and trial settings. Before joining CBIZ, Mr. Poling was the first employee and General Manager of the Antique Drapery Rod Company, Inc. a start-up manufacturer of drapery hardware and other fabricated furniture products based in Dallas, Texas where he was responsible for the company’s operational and financial activities. Today ADR, Inc. is an internationally recognized brand within its industry with over 150 employees, many of whom joined the company in its early years. Mr. Poling began his career with Arthur Andersen & Co. where he worked in the firm’s audit and business consulting practices. Mr. Poling graduated from the University of South Dakota with a B.S. in Accounting and earned an MBA from Southern Methodist University. 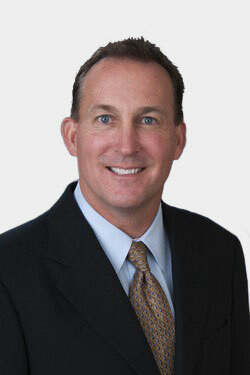 He is currently Immediate Past-President and serves on the Board of Directors of the San Diego Chapter of the Association for Corporate Growth (ACG), the Advisory Board of the San Diego State University Business Forum, is a member of the San Diego Rotary Club 33, and is a Trustee of the University of South Dakota Foundation.